Gantt Chart For Workgroup is an application developed by OrgBusiness Software. We know of versions 4.1, 4.0, 3.6, 3.3, 3.2, 3.1, 2.9, 2.8, 2.6, 2.4. Version 4.1 is available for free download at our site. Gantt Chart For Workgroup installation package has a size of 35,235,756 bytes. 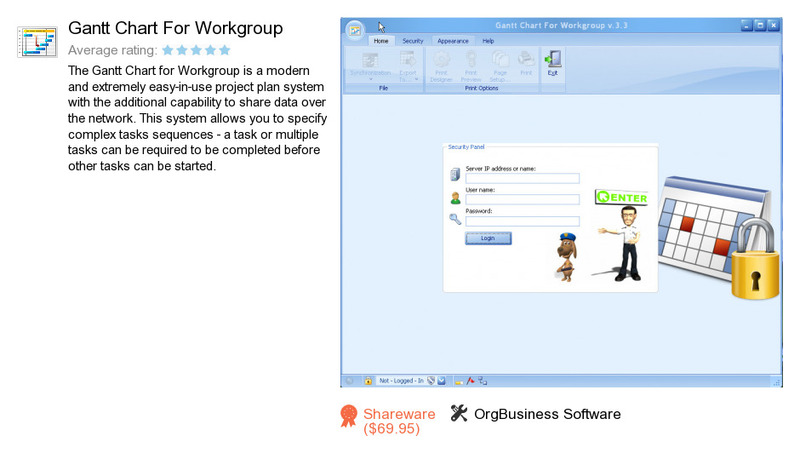 OrgBusiness Software also publishes Repair Shop Calendar for Workgroup and Comfy Hotel Reservation.